Atlantic Stainless offers waterjet cutting services for jobs that require very close tolerance and almost no machining to prepare the metal. Although waterjet metal cutting is a more expensive process than plasma cutting, it can save time and labor in machining. Our experts will take your design prints and waterjet cut your custom parts precisely so that your project’s final outcome is exactly how you envisioned it. 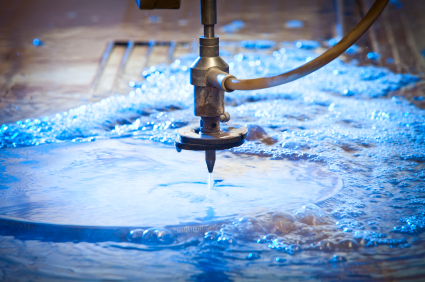 Waterjet cutting can be done up to approximately 6″ thick. This service is ideal for close tolerances.